RICHMOND, Va. – Denny Hamlin kept his top-10 finishes streak going with his fifth-place finish in the Toyota Owners 400 at Richmond Raceway. Hamlin has finished in the top-10 seven straight times dating back to Las Vegas Motor Speedway on March 3. He was forced to come from the rear of the field on Saturday when his qualifying time was disallowed after his Joe Gibbs Racing Toyota failed pre-race inspection. But from his 30th-place starting spot, Hamlin was able to get to the front. 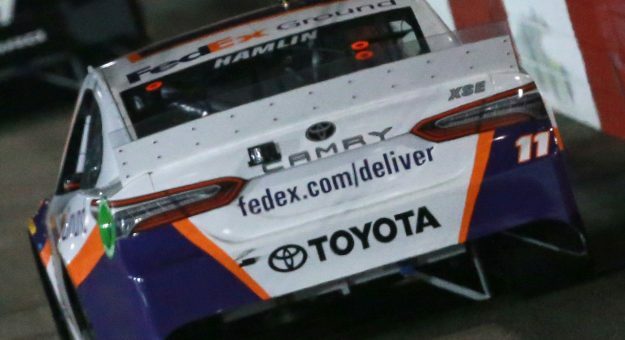 “We really closed on the leaders there at the end,” Hamlin explained. “We were fast, really fast the last 20 laps. We just didn’t have enough time. We battled from the back and really couldn’t gain a whole lot on restarts, but just really grinded our way two or three positions each run and found our way up in the top five there at the end. I could at least see the leaders. While Hamlin was ultimately pleased with the finish and the overall performance, he felt there wasn’t anything left he could have done to get any closer to the lead.